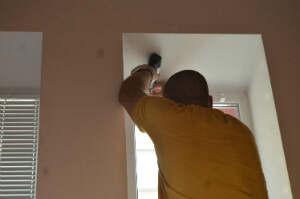 Handyman Interior & Exterior Twickenham TW | Quality Property Care Ltd.
Book the professional handyman services offered for both domestic and residential handyman tasks in Twickenham TW by Quality Property Care Ltd.! You can book a multi-skilled handyman for one or more carpentry, plumbing, painting and redecorating or electrical services as well as for a number of odd jobs which needs to be done around your house or office. The expert and insured services are provided at pretty attractive handyman prices and will definitely save you the effort and time of doing the task yourself or looking for a person to do the job for you. Before more than 15 years, Quality Property Care Ltd. realised how often the people and businesses in Twickenham TW needed somebody to do the odd jobs which they couldn’t cope with by themselves. The idea of offering them an experienced odd job man London, grew into an existing business and a significant team of extremely experienced and multi-skilled handymen, who can offer a wide assortment of services from small and simple tasks to big and sophisticated ones. The main types of handyman jobs provided include: carpentry, domestic plumbing, electrical services, decorating and painting as well as a wide variety of odd jobs. 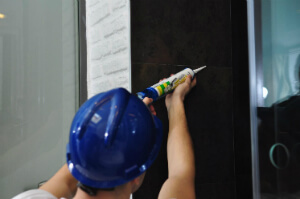 Not only the big abundance of various house improvement and repair services we offer, but also many other benefits have put Quality Property Care Ltd. on the top position in UK-based handyman companies. We get an extremely high rating for a handyman company in Twickenham TW, simply because we have a broad coverage! We are available in all England territory: including in Greater London and South East London! But also, we can boast with all of the following handyman services and company benefits: cheap prices, flexible schedules, no hidden charges, bargains to all loyal customers and every next booked service alongside with professional handyman! To book the required handyman service, contact 020 3746 4287 or fill out the online booking form right away, and you will acquire written confirmation with the time and date of your booking slot. If you have an emergency, there is a probability of same day booking as well. The booking is hourly based, but for more complex tasks, or for a number of handyman tasks, you can book a half or full day package of handyman services. Go ahead, call now and get all those small problems in your office or home interior and exterior fixed!